What would "WoW 2" even look like to you? What would “WoW 2” even look like to you? The other day in The Queue, the subject of “WoW 2” got brought up. It’s not the first time this has happened, and it won’t be the last time it happens. Heck, questions of a hypothetical WoW 2 have existed for several expansions now. 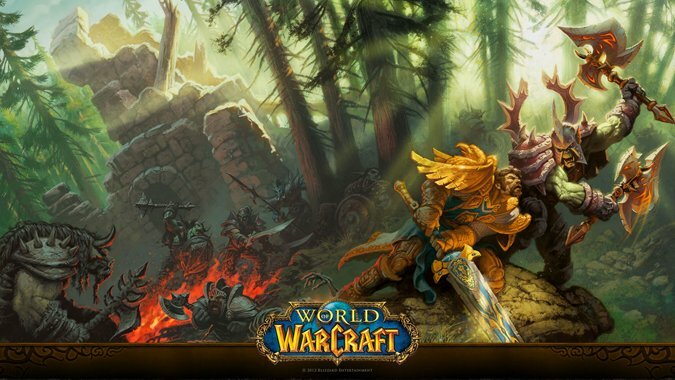 When Blizzard was asked about it at some nebulous point in the past, their answer was that we are, effectively, already playing “WoW 2.” Their logic was that the game has changed so much since its original incarnation that it’s basically already what a sequel to World of Warcraft would look like. Frankly, I agree! Whenever we get the question about a sequel, my answer is that I don’t even know what it would look like. What would make World of Warcraft 2 any different from the game we’re playing now? What would make it worthy of earning that title? In my mind, the biggest — potentially only — difference would be that the game could be built on technological architecture that was designed with longevity in mind. WoW has survived a long time, and it’s still using the backbone of the game it was back in 2004. The graphics are better, the technology is more advanced — but it still has portions of that old game within it. If there were one argument to make for a sequel, it’s the backend work to make the game run smoother. But outside of that? We could have new classes, sure — but what would make you play a class in this hypothetical game that you couldn’t also get in WoW right now? There’s a zero percent chance Blizzard would make WoW 2 with more abilities per class — and in that case, why not just add a new class to WoW itself? Frankly, the changes Blizzard is willing to make with each expansion don’t feel much different from the sort of changes we’d see with a sequel. And none of this is to mention the issue of having two competing MMOs in the market! So I ask you again — what would a World of Warcraft 2 actually look like to you? How would it be different enough from the current game to warrant that title?